It is a maker's dream come true! Outfit your shop with the be-all-end-all selection of every miniature screw, nut and washer we sell in one ultimate package…and SAVE OVER $456.00! 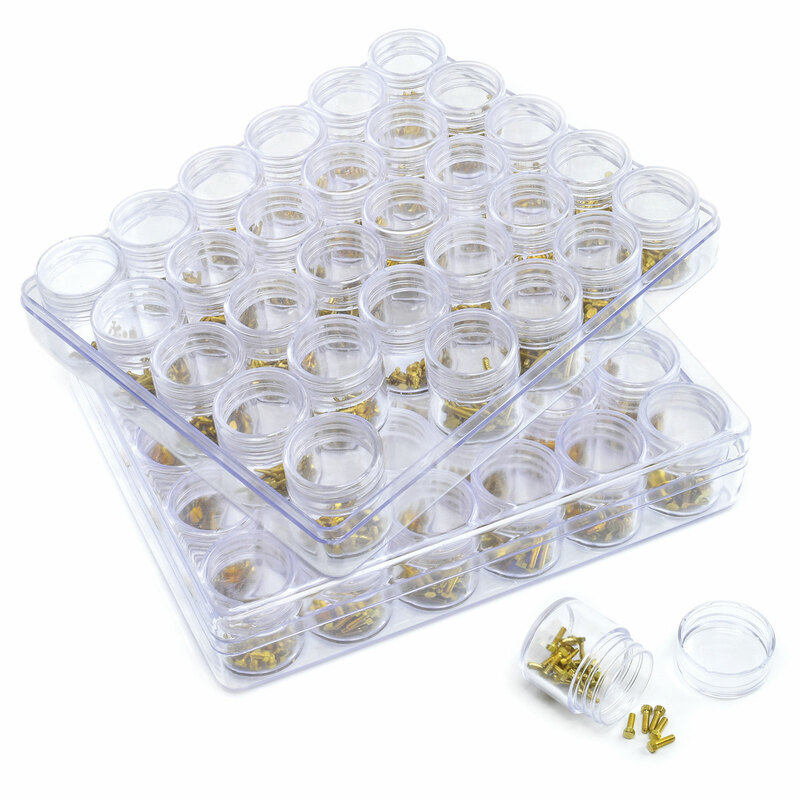 Never before have we offered such a set - 2,000 pieces all together - plus a perfect pair of storage containers to keep every last piece neat and organized until you need it. You will never search for just the right round, flat or hex head screw again! 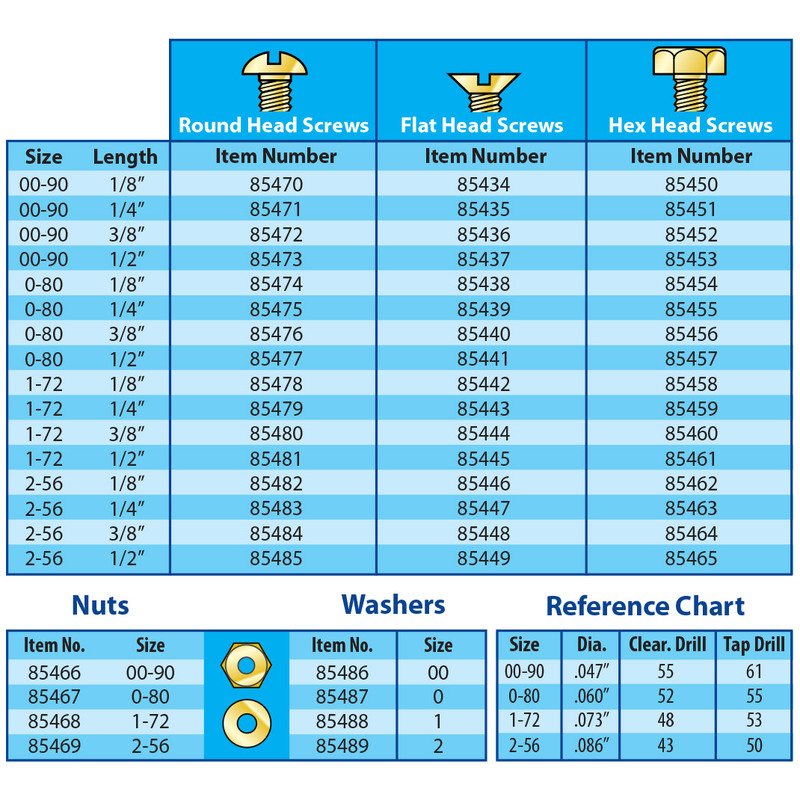 Includes 25 pieces each of every item in the reference chart (see image 2), plus 100 pieces each of every nut and washer.